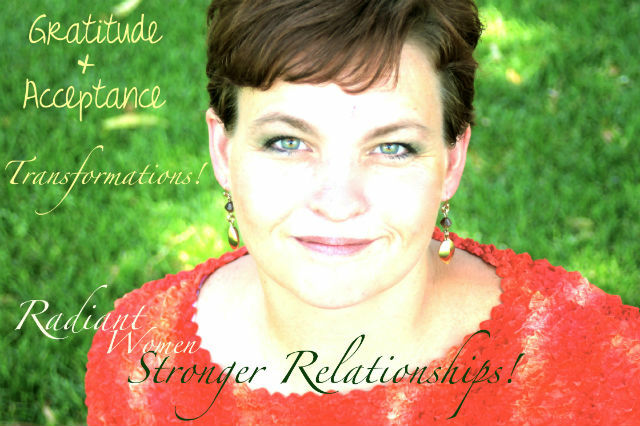 I have been struggling to forgive myself from some ugliness that I manifested while in a disagreement with my husband. I hurt him in a way I never thought I would. He forgave me pretty quickly, but I didn’t forgive myself. As I lay in bed thinking about the desire to change and never do that again and the difficulty I was having believing that I would (change) a picture came into my mind. There I was near the Savior, but I couldn't face him because there was a clamp around my waist and I was clinging to this clamp. I knew that this clamp was my guilt, and I felt like I needed it. Intellectually, I already knew that I can’t hold onto guilt and accept the light and love of the Savior. Seeing this it became so clear that I just needed to let go. I was seeing myself as a bad person that needed to be controlled instead of a divine person who made a mistake and needed to be nurtured. I was trusting in my guilt to keep me from doing it again instead of trusting in the Savior’s power to create permanent change in me. The other thing I looked at is that if I am focussing on the Savior, there is only perfection-no guilt. I can only truly accept the perfection He provides for me when I let go of the guilt. I have a responsibility to do my best, to retrain and rescript, but only through Him can I be changed perfectly and permanently. Christ suffered, so that I would not have to. I can chose the path of suffering for change or I can chose the path of trust. When I truly trust in Christ and know Him, letting go of what separates me from Him becomes easier. One of the reasons the concept of change is so misunderstood is in translation. The phrase “lost in translation” applies very well here. The word used in the original language of the Old Testament that has been translated as "repentance" was a word that meant "to turn from" or " a deep and profound change". The root of the word repentance was the latin word "peneterre" or punish. the word mistakenly used to translate change literally means to re-punish. The words used in the greek and hebrew texts (New Testament) for repentance are about profound change and turning from sin. In re-scripting behavior and attitudes we create the evidence of our intention and our turning to Christ. We only have to suffer to the degree that we resist the atonement. The purpose of the suffering is that the sin becomes less enticing. When we have learned to take upon us the atonement of Christ and truly understand His goodness and mercy, that can be our motive instead of the pain of guilt. We place ourselves in a position for sanctification through Christ and the Holy Spirit when we re-script and move forward. Will-power doesn't do it, but willingness to change and to accept the atonement positions us to receive the blessing which has already been extended. The nagging guilt we feel at times is our own concerns that need to be addressed with the knowledge and truth we have in knowing who we are and the power of the atonement to heal our relationship with ourselves and God. The nags in our minds and hearts are like the child who won't go away until they get a real answer. They are our great opportunity to get very firm and clear on who we really are and what we really believe. When we die I believe darkness will still be there to tell us we cannot go to light, and addressing the guilt in life gives us the power and knowledge to say "I am clean and pure in Christ and have no need of you." Light will also be there inviting you, only our acceptance of the love, light, and atonement of Christ will enable us to go with light and serve God. I don't believe in ignoring guilt, I believe in addressing it with the truth of our divine nature and the atonement and letting it go. I also know that sometimes to let the truth sink in, you have to let go of the guilt first. Forgiveness is what we call it when we fully accept the atonement to "cover" or sanctify our sins. Our weaknesses become strengths and we are grateful not that we sinned, but that Christ, through the atonement has made our "mistakes" into stepping stones instead of stumbling blocks. What makes me shine? What makes me worthy of forgiveness?..worthy of God’s love? Worth saving? I know God lives. I Know Jesus is the Christ, I know I am a child of God. that means I'm powerful. That means there is always HOPE. True change and forgiveness are the tools I use through the atonement of Christ to eliminate the obstacles that separate me from all the blessings of life with God. As I nurture the good, or God , in me His light shines more brightly through me and I become more the person I REALLY am= a Daughter of God. In this space there is no room for guilt, only forgiveness and love.